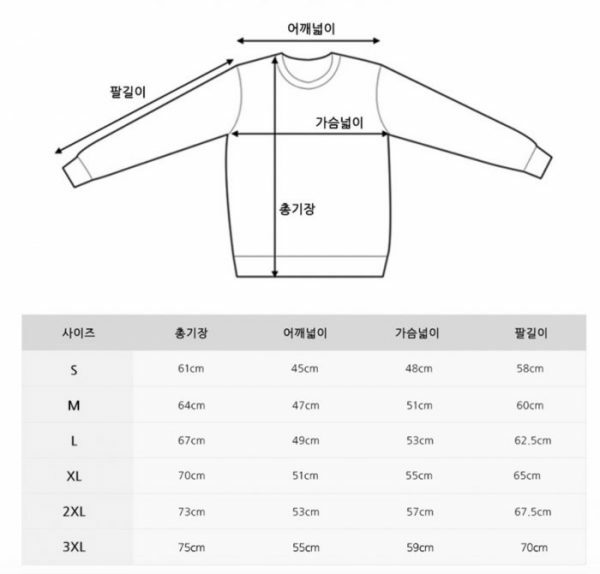 When you are browsing Korean clothing sites at the very bottom of each product page they will have charts like the ones below. If they don’t have a photo they will at least have the measurements. These are in cm with the clothing lying flat. For Americans note 1 inch = 2.54cm. To place orders copy the links / URL of the items you would like and paste them in our order form and we will do the rest. Tops: you can see the sizes in the left column below. The measurements from left to right are 1) total length 2) across the shoulders 3) chest width 4) sleeve length. some sites also do sleeve width (암홀) and cuff/wrist width. 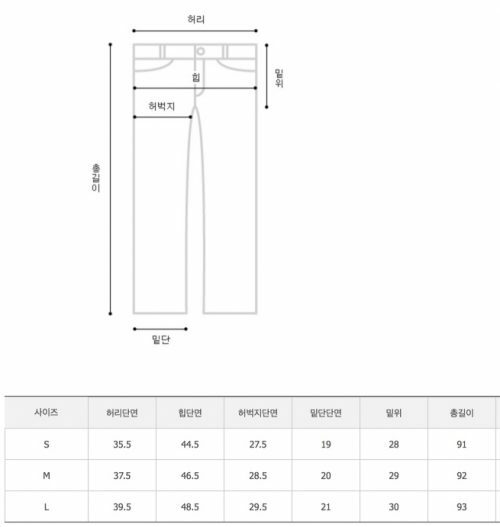 Pants: Again sizes are show in the left column. The measurements from left to right area 1) across the waist. Regular waist measurement in inches = across the waist (cm) * 2 / 2.54. In the example below. L size waist = 39.5cm. 39.5 * 2 / 2.54 = 31 inch waist. The rest of the measurements are 2) across the hips 3) thigh width 4) ankle hole width 4) waist to crotch measurement 5) and finally 6) total pants length.